I was a little tired of the lack of colour in the garden before the flowers started to bloom. 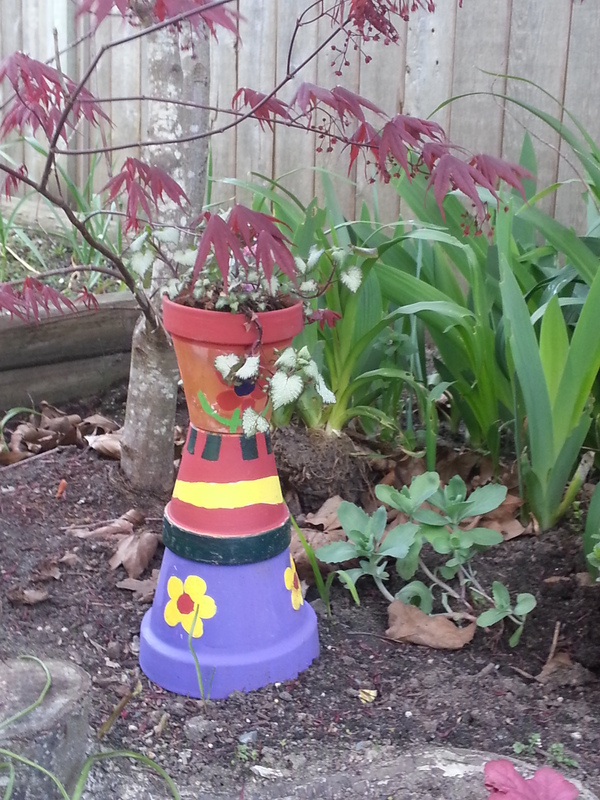 So I decided to add some colour in the garden with some easy painting projects. I stacked some painted terracotta pots that I had on hand. To make it more stable, I put a rod through the pots. Added some soil to the top pot and planted a little perennial plant. For my second project, I used the trunk of my last Christmas tree. 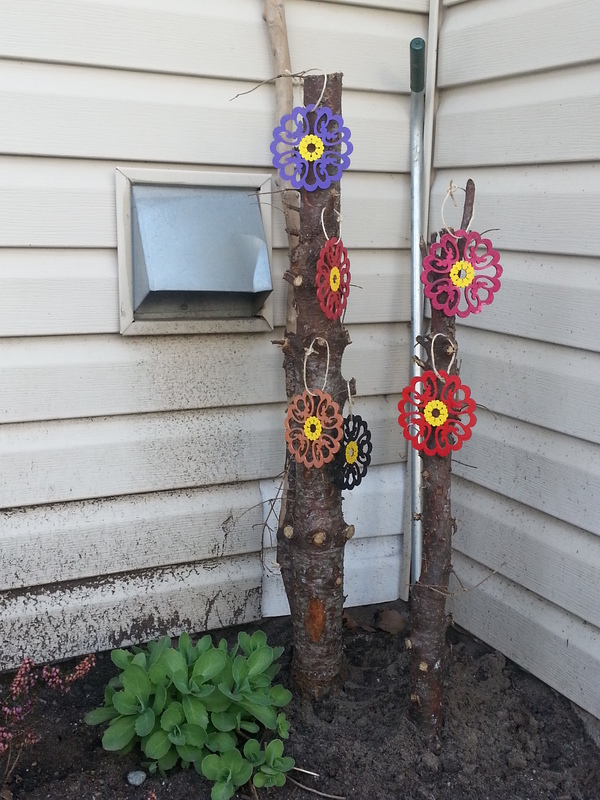 I cut off the branches and hung some wooden flowers on it. This should brighten my garden a little until all the other flowers come in.